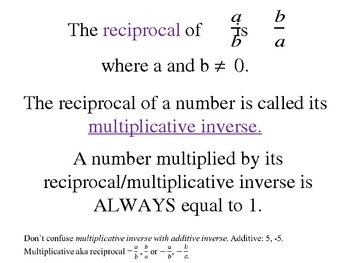 This PowerPoint is based off of the Glencoe Algebra 1 textbook, chapter 2 section 7. 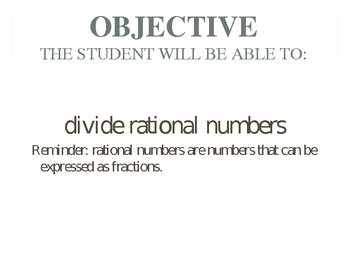 The presentation covers the rules on how to divide rationals using the multiplicative inverses. 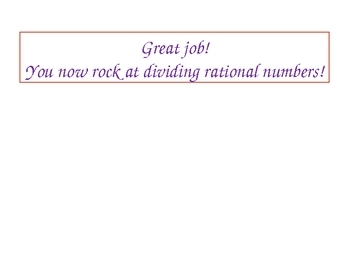 It includes examples and explains how to determine when the quotient is positive or negative.